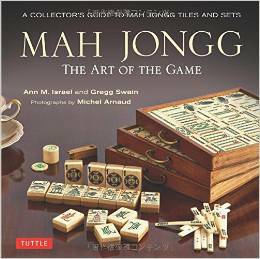 I know so many of you are interested in teaching your children and grandchildren the wonderful game of Mah Jongg but just are not sure as to how to do it. Well, good news is here! 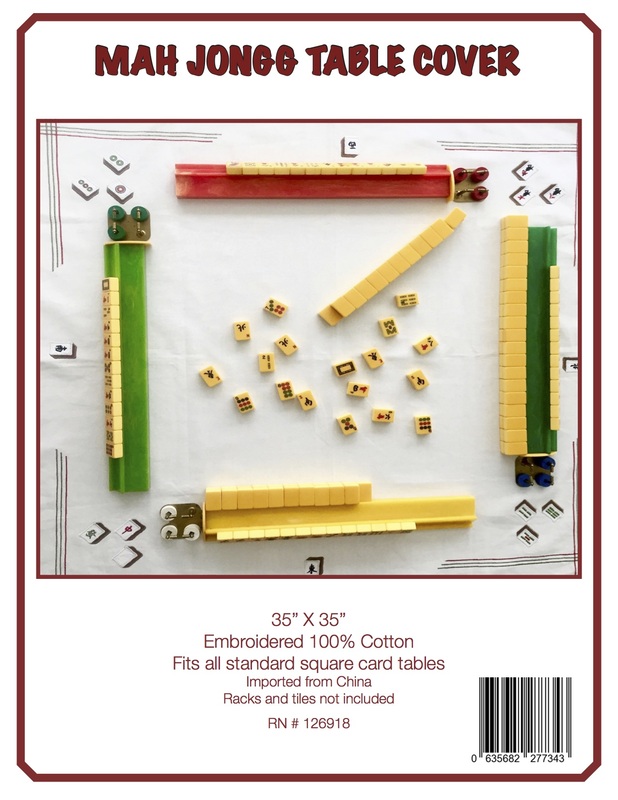 Sally Jo Rudnick of www.MahJonggNetwork.com has developed a wonderful Mah Jongg Junior card offering Mah Jongg fun for all ages. Not only is it well-designed to attract the (much) younger generation, but it definitely will help children ease into the game. Perhaps it also might work for the very senior people who want to learn the game but are having a difficult time understanding the suits, the Dragons, the hands on the card, etc. I am so impressed with Sally Jo and her great idea. 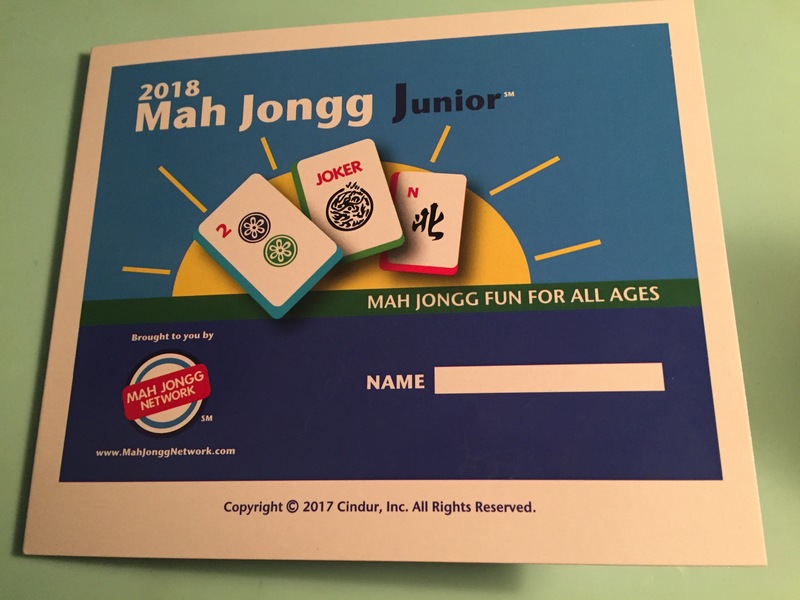 The card is hot off the presses and to be among the first to get yours and start teaching the next generation of Mah Jongg winners, contact Sally Jo at www.MahJonggNetwork.com. Easy to Read Card Design. 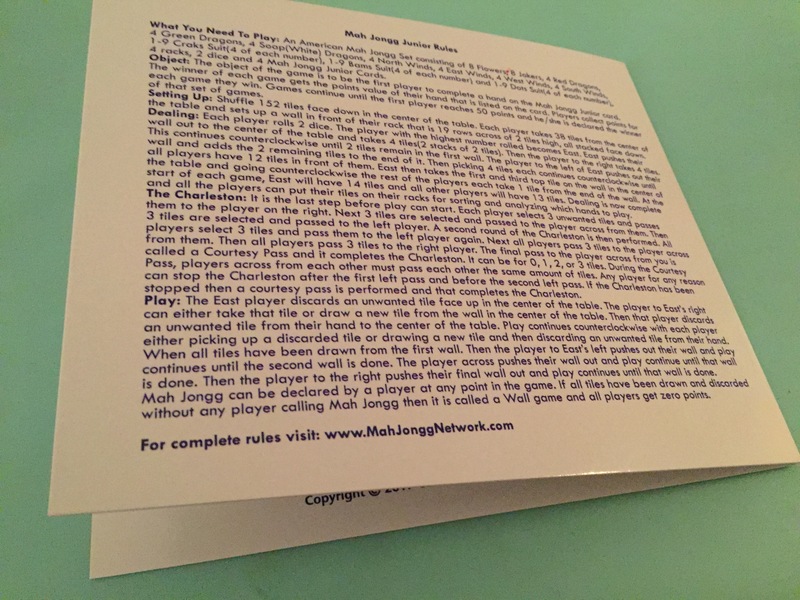 Rules are included on the back of the Card. New Yearly Cards are mailed to you each November. Here’s a preview of Sally Jo’s creation (I have redacted the better part of the hands as the card is proprietary – get your own to see these wonderfully easy and teachable hands for yourself). And, as an added incentive, by purchasing this card you will be helping to support the JCC and St. Jude Children’s Research Hospital. 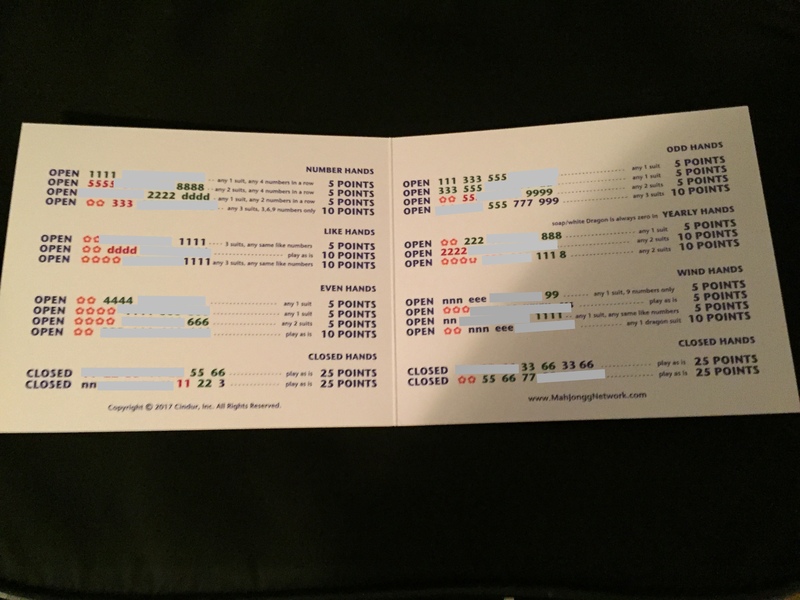 To receive your card in time for Chanukah and Christmas, be sure to place your order NOW! This entry was posted in Mah Jongg and Me and tagged chanukah, Christmas, JCC, Junior card, mah jongg, mahjong, St. Jude Children's Research Hospital, www.MahJonggNetwork.com on November 19, 2017 by Mah Jongg and Me.